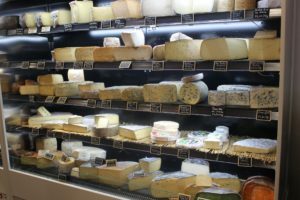 Today is National Cheese Lover’s Day (20th January 2019). 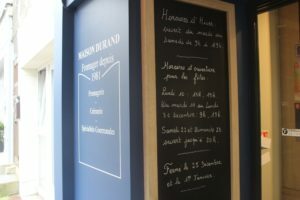 And what better way to celebrate than taking a look at a cheese shop in Normandy? 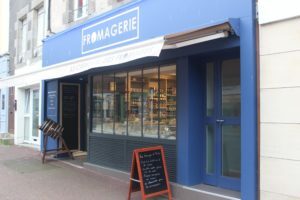 I visited Au Carnaval des Fromages in Granville earlier this week and they kindly allowed me to take photos of their lovely shop. They’ve been cheesemongers for over 35 years and were originally based in Camembert in the Pays d’Auge in Normandy. 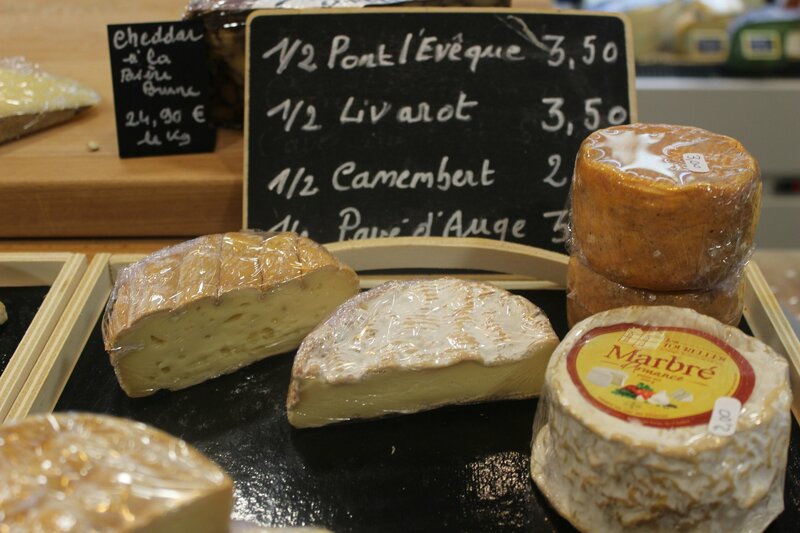 Understandably, Camembert cheese features heavily in the range of artisan cheeses they sell. 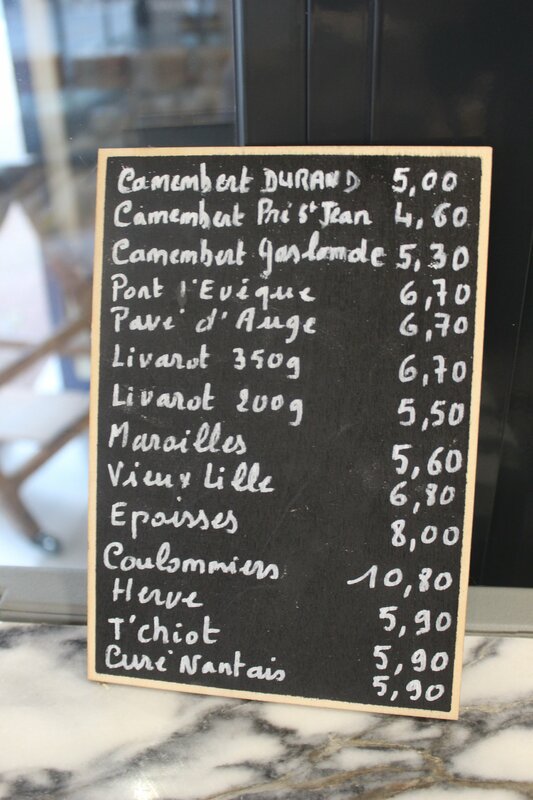 They also make their own Camembert. Other Normandy cheeses such as Pavé d’Auge, Livarot and Pont l’Evêque are also available. 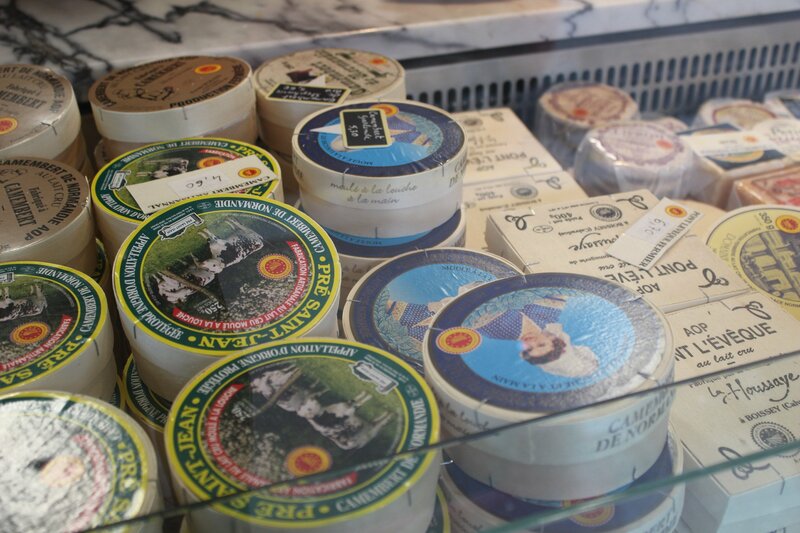 I also spotted Mont d’Or and Bleu d’Auvergne amongst others. If you’re not sure about a particular cheese you can ask to try it before you purchase it. 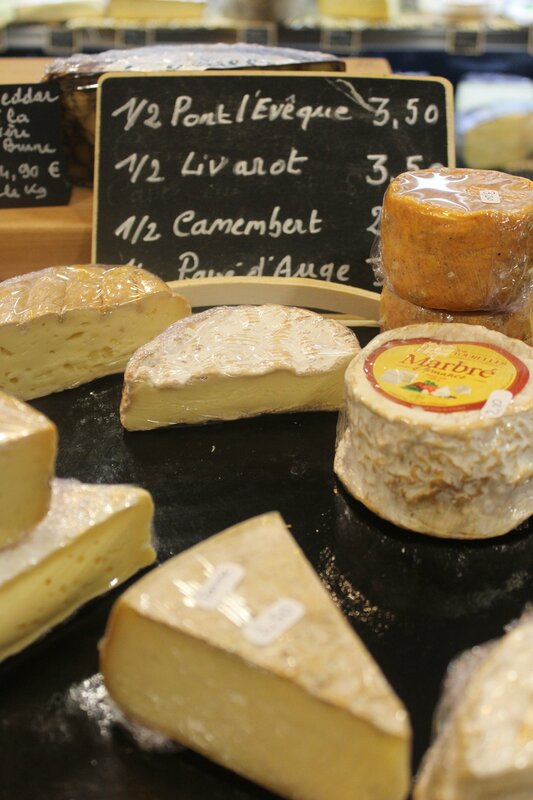 You can select a variety of cheeses for a cheese board. 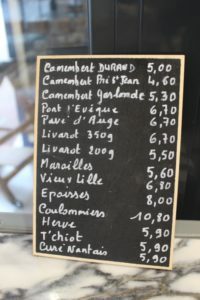 This is known as a ‘plateau de fromage’ and the cost will depend on the varieties you choose. As well as cheese, they also stock other dairy products such as cream and eggs. 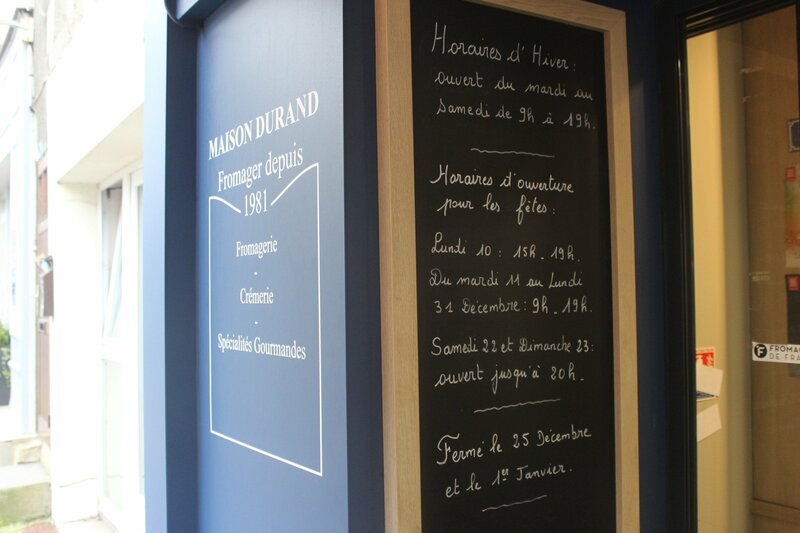 The épicerie part of the shop stocks artisan food and drinks including beers, fruit juices, cider and caramel sauce. There’s even saucisson flavoured with roquefort cheese. Au Carnaval des Fromages is based at 94 Rue de Couraye, 50400 Granville. Their phone number is 02 33 69 96 17. 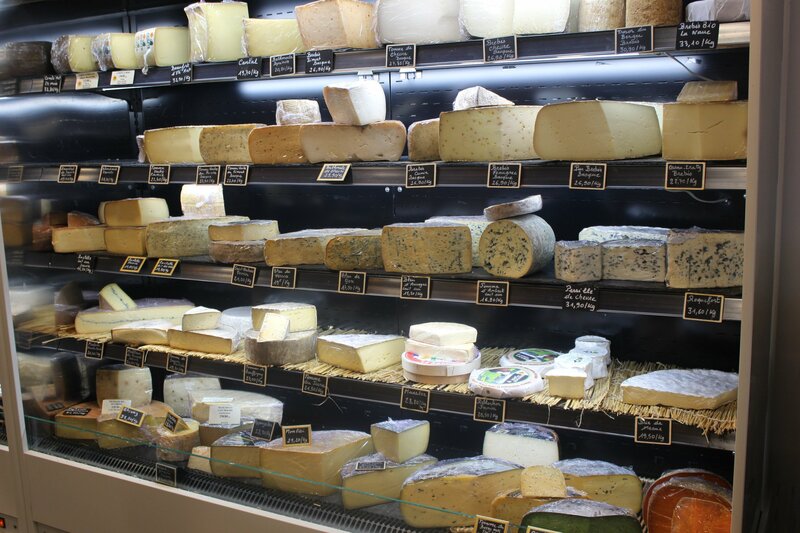 The cheese shop is open from Tuesday to Saturday from 9am to 7pm.